National Promoter of the Year DHP Family has brought in a leading cultural producer and programmer to deliver a cutting edge line up of live music and club nights across its London venues. Matthew Cook has been appointed as London Venue Programmer for DHP’s venues in the capital – Oslo (Hackney), The Garage (Islington); Thousand Island (Islington) and Borderline (Soho). 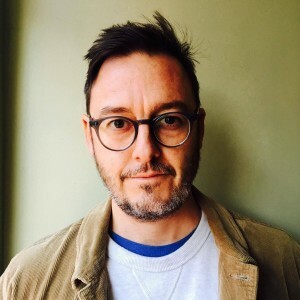 His wealth of experience includes delivering music programmes for The ICA, Brighton Dome and Festival, Hackney Empire, House of Vans, Soundcrash and Warwick Arts Centre. He has worked with artists such as Bonobo, Sufjan Stevens, Savages, Dinosaur Jr, Spiritualized, Public Enemy, Florence and the Machine and Arcade Fire as well as collaborating with The Great Escape, Barbican, Southbank Centre, Roundhouse and others to deliver a variety of creative projects throughout his career. Drawing on his specialist knowledge of contemporary music, venues and festivals, Matthew will lead on music programming at the London venues and build on relationships with sponsors and non-music events. He says: “I’m very excited to join the team at DHP and programming four of London’s best live music venues. I first came into contact with the DHP team a few years ago when we presented Bonnie Prince Billie at Hackney Empire. They were a pleasure to work with and it was a phenomenal show. DHP’s first London venue Oslo – a bar, kitchen and live music venue in the heart of Hackney Central – opened in January 2014 following a complete transformation of a former railway station. Artists like Dua Lipa and The Amazons have chosen the venue to launch their careers, while others like Mumford & Sons and Grandaddy have stopped by for intimate underplays at the 350 capacity venue. Drawing on a Nordic aesthetic, top quality food and drinks are served alongside an exciting music programme. With a long and rich history within London’s live music and nightlife scene, The Garage has always been regarded as one of the capital’s landmark venues. Relaunched in March 2017 following a major refurbishment, the main room (600 capacity) has already seen a five night residency from Mystery Jets; a secret gig from Harry Styles and is hosting a Five Night Stand from The Rifles performing one of their albums in full each night next February. A small intimate space ideal for breaking acts, Thousand Island (100 capacity) also offers late-night socials featuring an unpretentious programme anchored by collaborative club nights. A complete design overhaul of Borderline (300 capacity) has breathed new life back into what has been described as one of the last surviving landmark live music venues in the heart of London’s Soho district. Borderline has an enviable history built over 30 years with Ed Sheeran, Amy Winehouse, R.E.M, Rage Against the Machine, PJ Harvey, Oasis and Eric Clapton among those to have all graced its stage. The new flowing layout has introduced better sight lines into the space along with a high spec light and sound system.